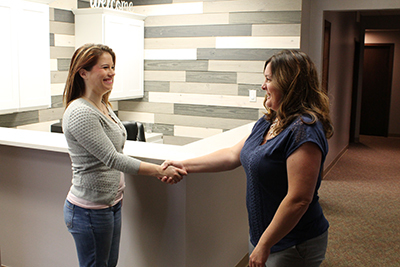 Welcome to Vibrant Family Chiropractic! 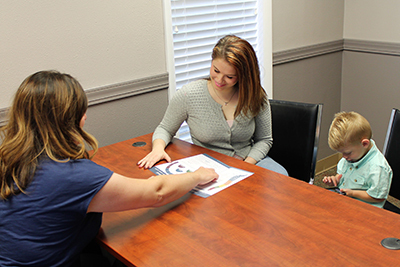 You’ll find that our office is a comfortable, warm and inviting place where all ages feel at home. It’s bustling and full of positive energy. Our office runs on time. We are very thorough. If we can help you, we tell you. We also tell you if we can’t. We look forward to meeting you! The necessary paperwork can be filled out on our website. After you submit it, it gets sent directly to Dr. Rachel for review. You can then click the “Book Now” tab above to request an appointment time or call the office to schedule. Please arrive 15 minutes early if you are unable to fill out the paperwork prior to your appointment. You’ll meet with Dr. Rachel to talk about your health history. Next, we’ll get started on a physical examination and complete scans with the Insight™ Subluxation Station. If we feel that you need to have X-rays, we’ll refer you to a nearby facility to have them taken. This appointment takes about 30-45 minutes. When you return, you’ll sit down with Dr. Rachel for a report of findings. She’ll inform you about the results of your examination and scans. We’ll also detail the number of visits we believe you’ll need and give you a chiropractic adjustment. This appointment takes about 20 minutes. Since we’ve done our homework and understand your needs, follow-up adjustments will be quicker, taking up to 15 minutes. Dr. Rachel enjoys doing outreach with the community to educate people about chiropractic care and their health. If you’re interested in scheduling her for a talk with your group or organization, contact our office. We’re here for you and offer extended hours for your convenience. Contact us today to get started!